GlobalSCAPE, Inc. (NYSE MKT: GSB), the secure information exchange company, today announced that it has been named one of the 2015 Best Companies to Work for in Texas. The awards program was created in 2006 and is a project of Texas Monthly, the Texas Association of Business (TAB), Texas SHRM and Best Companies Group. The rankings were revealed at the Best Companies to Work for in Texas event at the end of March, and will also be profiled by Texas Monthly in a special publication that will be released in conjunction with the event. 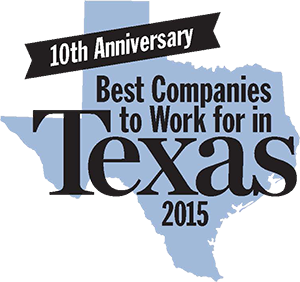 For more information on the Best Companies to Work for in Texas program, visit www.BestCompaniesTX.com. James Bindseil, CEO of GlobalSCAPE, Inc.
"We are honored to have Globalscape once again recognized as one of the best places to work in the state. It’s always been incredibly important that we create a workplace environment that is meaningful and fun but it’s gratifying to know that we are among the few who go above and beyond to establish and preserve such a unique culture for our staff." San Antonio, Texas-based GlobalSCAPE, Inc. (NYSE MKT: GSB) ensures the reliability of mission-critical operations by securing sensitive data and intellectual property. Globalscape’s suite of solutions features the EFT platform, the industry-leading enterprise file transfer solution that delivers military-grade security and a customizable platform for achieving best-in-class control and visibility of data in motion or at rest, across multiple locations. Founded in 1996, Globalscape is a leading enterprise solution provider of secure information exchange software and services to thousands of customers, including global enterprises, governments, and small businesses. For more information, visit www.globalscape.com or follow the blog and Twitter updates. This press release contains forward-looking statements within the meaning of Section 27A of the Securities Act of 1933 and Section 21E of the Securities Exchange Act of 1934. The words "would," "exceed," "should," "anticipates," "believe," "steady," "dramatic," and variations of such words and similar expressions identify forward-looking statements, but their absence does not mean that a statement is not a forward-looking statement. These forward-looking statements are based upon the Company’s current expectations and are subject to a number of risks, uncertainties and assumptions. The Company undertakes no obligation to update any forward-looking statements, whether as a result of new information, future events or otherwise. Among the important factors that could cause actual results to differ significantly from those expressed or implied by such forward-looking statements are risks that are detailed in the Company’s Annual Report on Form 10-K for the 2014 fiscal year, filed with the Securities and Exchange Commission on March 30, 2015.